Join the WFPG network as an Organizational Member and begin sharing the benefits of membership with your staff today! Receive access to our unique combination of international affairs programming and leadership development activities which will allow you and your staff to continually enhance your knowledge and contacts in this fast-changing field. All WFPG memberships are for the calendar year. Embassy Series events are held at embassies, consulates, and diplomatic residences in Washington, DC and New York, NY and highlight issues pertinent to the host country. This series rotates to cover different regions of the world. Recently we were honored to hear from the ambassadors of Canada, European Union, France, Germany, Italy, Ireland, Japan, Mexico, Pakistan, Philippines, Rwanda, and Singapore, as well as the foreign minister of Australia. Author Series events feature authors and prominent journalists. Recent programs have covered US-Russian Relations, Iraq and Afghanistan, women's leadership, and the Middle East. This series was launched in 2005 with NBC News Chief Foreign Affairs Correspondent Andrea Mitchell. 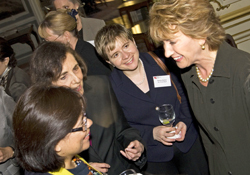 Conferences and Celebrating Women Leaders Luncheons celebrate and highlight women's leadership in international affairs. 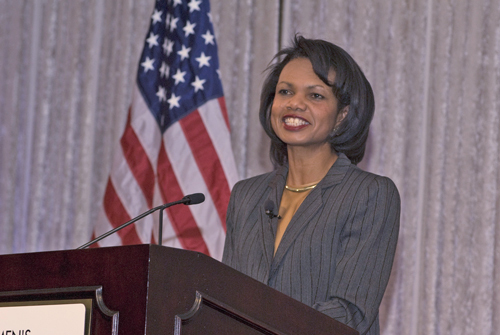 Speakers have included: Condoleezza Rice, Hillary Clinton, Madeleine Albright, and John Kerry; UN leaders like UN Women Executive Director Michelle Bachelet, and Deputy Secretary General Asha-Rose Migiro; US officials including National Security Advisor Susan Rice and Treasury Under Secretary Lael Brainard. Beyond the Headlines events highlight prominent officials and journalists, taking you beyond the headlines and providing context for the key issues shaping foreign policy. The series was launched in 2010 with a luncheon featuring US Special Representative for Afghanistan and Pakistan Richard Holbrooke. UN Briefings and Luncheons in New York, NY and Washington, DC highlight the UN's progress, challenges, and opportunities. Conferences and programs include briefings from top officials and diplomats and provide a forum for in-depth discussion. Issues addressed have included: climate change, protecting women and children in conflict zones, and peacekeeping. Women Shaping the Global Economy: In 2010 WFPG launched a series to highlight the achievements and contributions of women in business and the economy at a luncheon on Leading a Global Corporation honoring Anne Mulcahy, former Chairman and CEO of Xerox Corporation, and moderated by ABC's Bianna Golodryga. Mentoring Fairs and Internships encourage and promote the next generation of leaders by providing students and young professionals the opportunity to meet with international affairs professionals to discuss career experiences and to learn firsthand what is needed to excel in their fields. The fairs are held annually in DC and NY.